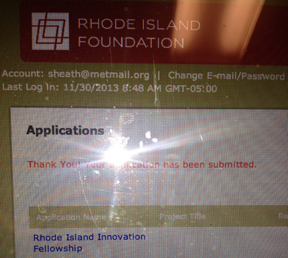 Nick Logler, Tom Kowalczyk, Chris Semonelli and I hit send at 7:30 pm on Friday the 13th to make the deadline for the Rhode Innovation Fellowship. Our team is in the hunt for $300,000 which we would use to seed Innovation Centers and inspire STEAM learning. Our answers to application are below. Four questions, 150-words each. Make it by the first round the panel brings you in for further questioning. Q1: What is your idea? 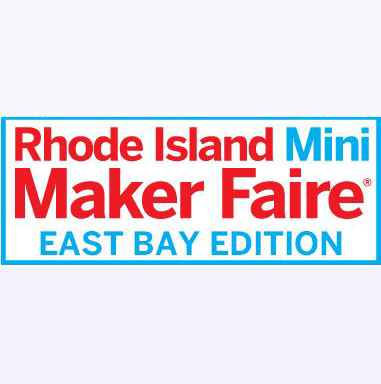 We will bring the most innovative and effective tools and methods for STEAM education to all Rhode Islanders. Only 10% of graduating seniors are interested in pursuing STEAM. The number interested in engineering or programming has fallen to 4.5% and 2.9%. Yet, technology drives innovation, economics and our future. The students we work with love STEAM. 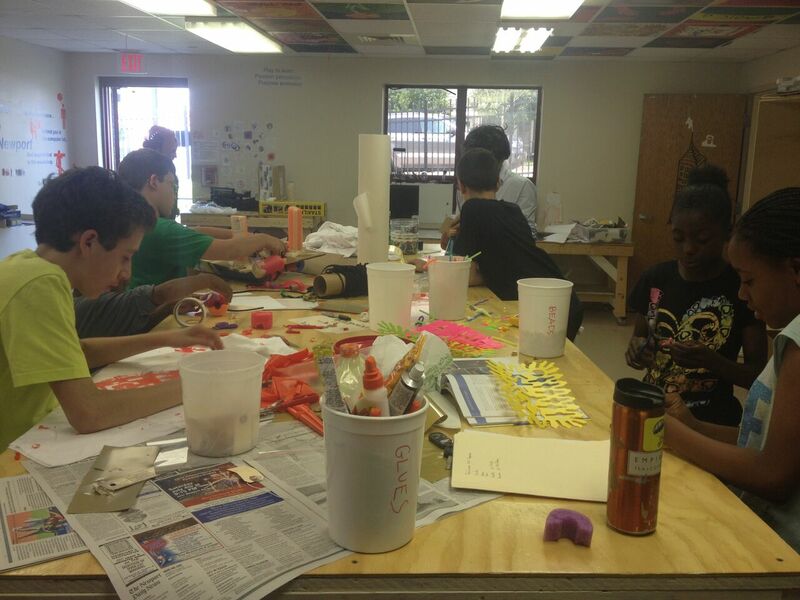 We are an MIT-inspired fab lab steeped in the pedagogy of Seymour Papert and Maria Montessori. A learning and innovation environment where students without previous experience use 3D printers, programming and electronics to turn ideas into realities. Our students play, develop passion and find purpose using the most powerful creative tools available. We will work with learners, educators, businesses and policy makers to build innovation centers in schools, libraries and communities across Rhode Island. Together, we can empower Rhode Islanders to make today and innovate tomorrow. Q2: How would you spend the money? The fellowship upgrades our model space at FabNewport to include a laser cutter and CNC router, seeds satellite innovation centers, and develops tools to assess our impact. 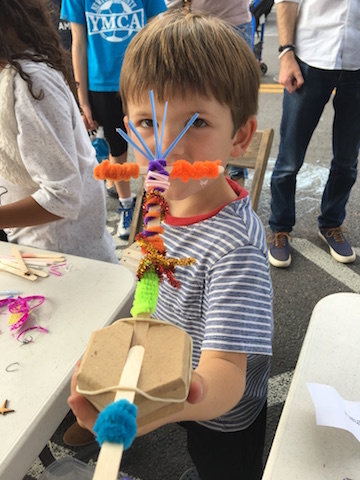 Our model space serves students and community members, explores new technologies and practices, and works with educators to bring STEAM into classrooms. We are training staff at the Boys and Girls Club, All Saints Academy, East Bay Met School, Newport Public Library, and Jamestown Arts Center. Each partner is ready to support a networked innovation center outfitted with a 3D printer, small CNC router, and electronics. These tools have an immediate transformative impact on learning. Our assessment tools will collect data and inform our work. We will build a reflective practice in our learners and cultivate the creativity, mindset, grit, curiosity and empathy essential for 21st century success. Our approach works and our method is proven. Everyday we witness passionate empowered students create solutions to personal and community challenges. With a combined 40 years of experience teaching STEAM, 30 years in professional engineering, and 40 years running small businesses, our team has the grit and passion to turn our vision into reality. Chris Semonelli is a public servant, relentless education advocate, engineer and business owner. Tom Kowalczyk is an MIT graduate and long-time robotics instructor. Nick Logler is a gifted coach and technologist. Steve Heath is full-time educator, successful entrepreneur and community leader. Our network is in motion and poised to launch innovation centers across Rhode Island. Our partners want our program. We have built a network of public officials, industry professionals, educators and students eager to learn, invent and support our work. Rhode Islanders want to create, build and innovate. We are ready to serve. Q4: How does Rhode Island Benefit? Rhode Island benefits when Rhode Islanders, young and old, in and out of school, can access first-rate technology programs to advance their education, careers, and quality of life. Centers at the Boys and Girls Club, East Bay Met School, All Saints Academy, Jamestown Arts Center and Newport Public Library are ready to serve hundreds of students and community members. Our work does not require new organizations or facilities competing for resources. Instead, we will grow connected collaborative innovation centers built on proven methods and practices. We will build a culture of creation and innovation inculcating belonging and purpose while cultivating local talent. Our program will disrupt traditional barriers, inspire collaboration and create opportunities across education, community and industry. Rhode Island benefits when we open our hearts and minds and work together to tackle our states great challenges and opportunities.